NEW TO BRUNO THE BANDIT? Then you, my friend, are in for a treat! To get you started, we recommend you sample some of Bruno's shorter stories, like Pillory or Sour Ron! Then, when you're ready to tuck in to the archives, start at the first strip!! *NEW! 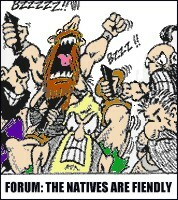 * Wanna search for your fave Bruno the Bandit strip? Click HERE! To order Volume 4 or the Card Game, go hither: http://www.aimcomics.com! -From the start of the current story Like what you see? 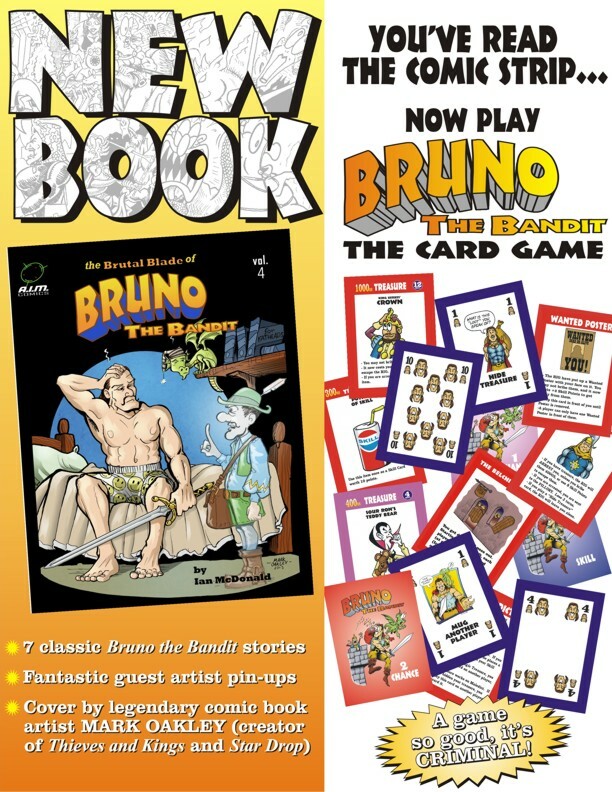 Yes, not only do we have the Fourth Volume of Bruno the Bandit comic strips for sale, the Bruno the Bandit card game is now available as well!! For more info, just click on the image above. Your Christmas shopping starts here, folks!